William Lusk Coppage: Blog Swap 2010 -"When the Levee Breaks – Levees, Literature, and Symbolism of the South"
J. Bruce Fuller and I are swapping blog post during the summer months. We hope to encourage readers to check each other's page. My first post on his blog, "When the Levee Breaks – Levees, Literature, and Symbolism of the South," discusses similar elements found in each of our writings. To be redirected to his page, please click on his name above, or click here. 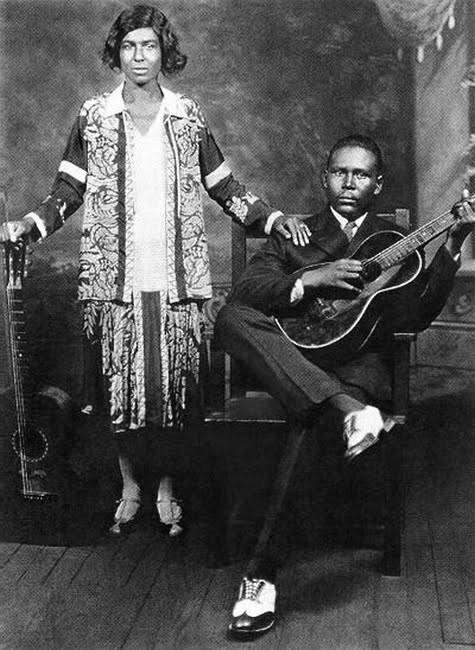 Here is a picture and video I found of Memphis Minnie and Kansas Joe McCoy, authors of the song, "When the Levee Breaks."